If you spend your holidays in Sainte Foy, you have made the right choice. 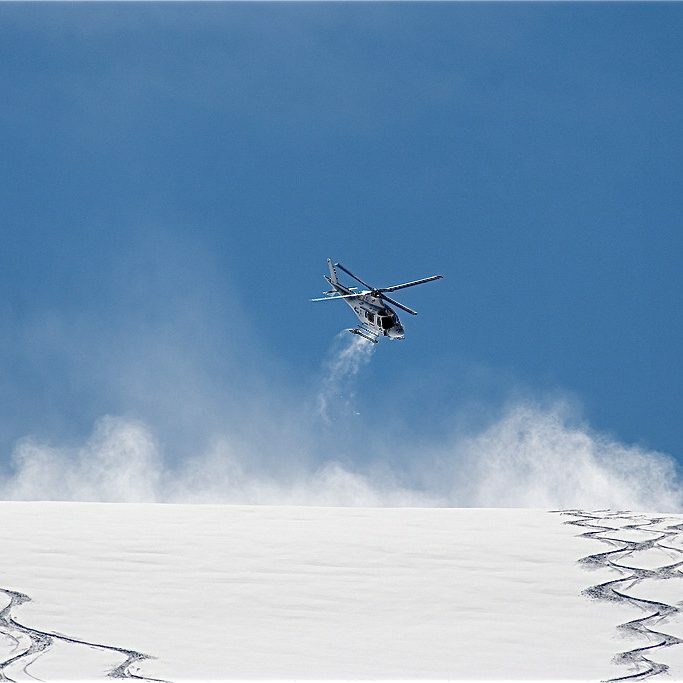 Indeed, with us, you will be able to realize the dream of many skiers and snowboarders: go heli-skiing ! The unique location of Sainte Foy has allowed us to create a vibrant heliskiing program that takes place in the largest heliski area in Europe. This area is located right next to Sainte Foy, on the border summits between the Tarentaise Valley and the Aosta Valley. After a few descents on the Italian slopes where endless natural bowls and large open faces follow one another, it will be time to return to France… From the top of Glacier du Ruitor or from the top of l’Archeboc, you can ski all the way down to the picturesque hamlet of La Mazure belong to Sainte Foy’s county. Throughout the day, your guide will take care of you. He will make sure you spend the best day ever ! In groups of 4 per helicopter, our guides will make you discover the high mountains in a new light. -Heliskiing is forbidden in France but legal in Italy, the boarder beeing so close, it’s ideal for a day trip. HOW TO REACH THE HELIPAD : With your guide, you will ski to the Italian border using La Rosière ski lift system. Departure is 8:15, it takes about 30 minutes to drive to La Rosière. Transportation to La Rosière is not included in the price. It is possible to organise a shuttle with your car and the car of the guide. Otherwise we can organise a taxi with extra cost. The first flight will lead you to an Italian descent and the last flight will happen on a French descent in order to ski back to the car. TYPE OF SKIS RECOMMENDED : In order to make the most of your heliskiing session, we recommend that your skis have a waist width of at least 100mm ! If you have hired your skis for the week, go to the hire shop before the heliskiing sesh to change your skis. For heli-skiing trips, contact Misha by email or phone as soon as possible so that she can tell you where and when to meet your guide on the morning of your trip. 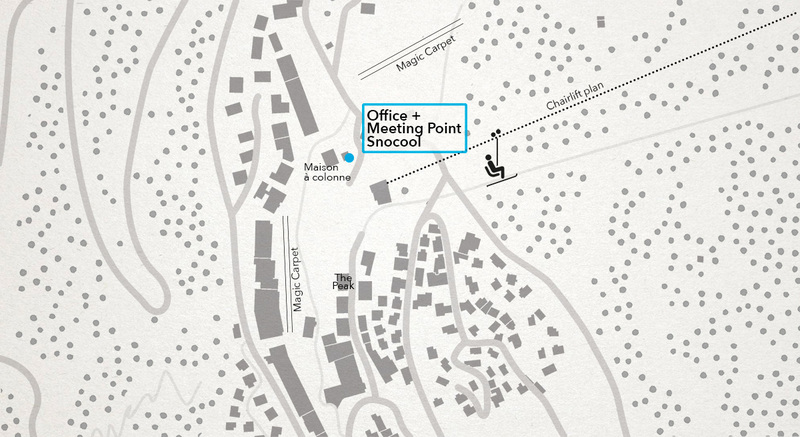 You can also come and visit us in our office on the sow front in the little wooden chalet located to the right of the restaurant “La Maison à Colonnes”.